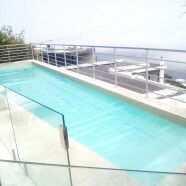 Open or close the pool in seconds! 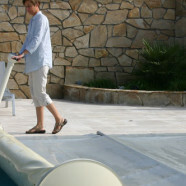 SafetyRoll is a motorised Rollup Station that attaches to the aluminium battens on the PowerPlastics Solid Safety Cover and effortlessly rolls the cover in or out, aiding use and providing correct storage for the cover when off the pool. SafetyRoll ensures the cover is not dragged over the paving, avoiding abrasive wear and tear on the PVC. 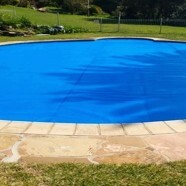 This easy to use lightweight cover completely seals off the water and reduces general maintenance. 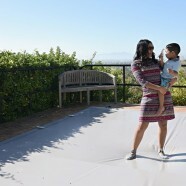 We recommend using this cover in conjunction with a Thermal GeoBubble cover. The solid cover will then be the outer cover, preventing leaves and debris collecting in the water. 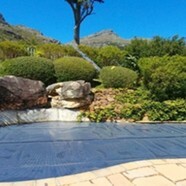 The Thermal GeoBubble cover, lying in direct contact with the spa/Jacuzzi water, will assist in heat retention. The Floating Lounge is the first all in one wellness, fitness and rehabilitation station suitable for every pool - an exercise machine, a counter current swimming system, a wellness oasis and a medical convalescence aid all in one.Thanks to its technical features, it opens the door to a range of wellness applications previously only available at different and often completely separate facilities such as health resorts, spas, sports clubs or massage providers. 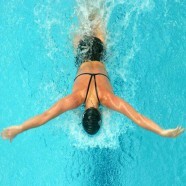 The most powerful counter current swimming system on the market, designed specifically for athletes. Jets utilize the latest computer simulation technology, designed to deliver a flat current directly under the water surface where the athlete needs the most resistance during training - on the chest and shoulders.